Great customer service is something we are passionate about. And itâ€™s because your support and very kind reviews that we have once again been shortlisted for this exciting industry award. We hope if you are busy planning a 2019 or 2020 Crafty Hen workshop, or if you organised a crafty party last year, that it was a smooth process and our Crafty HQ team were helpful and friendly throughout. If so, we would be delighted if you could spare a moment of your time to show some support for independent businesses and our ever-growing company! Many of you may supported us with a previous award that we are also nominated for, but this Guides for Brides shortlist is solely about your customer service experience. We'll make sure to update you (fingers crossed with good news!) over the coming weeks when winners are announced. Hurrah! 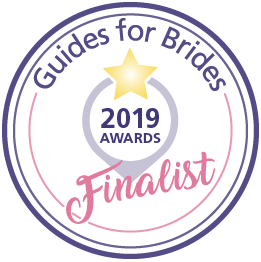 Weâ€™re delighted to announce we are finalists in the Guides for Brideâ€™s Customer Service Awards 2019. Thanks to all your votes, supports and kind words! Fingers crossed for the awards ceremony in March, weâ€™ll let you know how it goes! The Crafty Hen LTD Â© 2019 All Rights Reserved. The Crafty HenÂ® and Crafty HenÂ® are registered trademarks in Great Britain, Northern Ireland and Ireland.